Understorey tree up to 17 m tall and 24 cm dbh. Stipules ca. 15 mm long. Leaves alternate to opposite, simple, penni- to palmately-veined, densely hairy with stinging hairs, leaf base peltate, margin toothed. Flowers ca. 3 mm diameter, white-yellow-bluish, placed in large panicles. Fruits ca. 6 mm diameter, blue-purplish, achenes. In (heavily) disturbed regrowth, scrub and disturbed sites in mixed dipterocarp and sub-montane forests up to 1400 m altitude. Often on hillsides and ridges, but also common along rivers and streams. On sandy soils and limestone. Borneo (Sarawak, Sabah, South- and East-Kalimantan), Philippines. 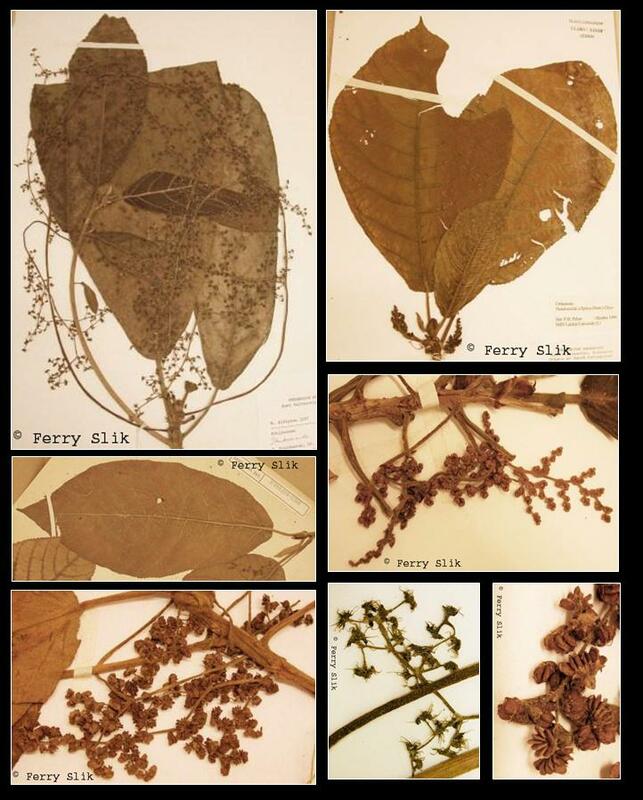 Borneo: Daun api, Hanjarapai, Jeletang, Lanjarapai, Lepai, Repai.